Ah, on the beach indeed. Not just a reference to my current location, but also had to think of that old Chris Rea song that was a big hit when I has just finished school and was on holidays on Texel. A lot of history on this island for me: holidays with the family when still a toddler, that holiday camping with a friend just after leaving school, and later I even worked here for a period of two years, commuting from Den Helder on the ferry. What a great way to travel to work that was. And now, after 16 years absence, I’m back for a visit, enjoying the typical Dutchness of Texel, the picturesque farm houses, the dunes along the coast and the wide and long beaches. But not the sea: the water is still waaaaay too cold to swim in, even if I saw someone braving it this morning. I’ll admit it, I’m too chicken to even try. 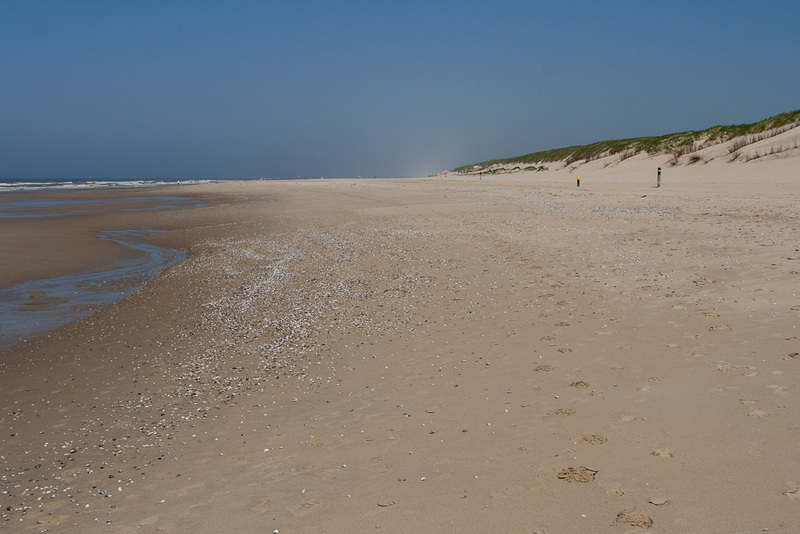 Did a nice walk this afternoon, following a path through the dunes, down to the beach. The breeze was still cool and quite strong, so we walked with the wind in our backs. We stopped at one of the beach pavillions and enjoyed a nice beer before continuing our walk. Happy days.